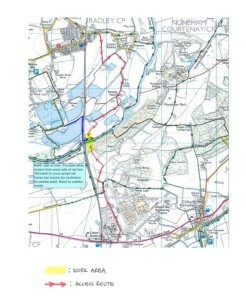 Thames Water will be starting work on fixing a section of a burst water main by the Radley Lakes. From Monday 13 July, there will be drilling under the River Thames by the railway crossing North of Culham train station, as shown on the map. The work is expected to be finished in two months’ time. Thames Water will be working on the site from 8am to 5pm from Monday to Friday and 8am to 1pm on Saturdays. Residents will be notified by Thames Water is any Sunday work is required. Although Thames Water is working on plans to prevent temporary cuts to the water supply in Radley, they will write to affected residents if they need to cut the supply. Thames Water have also warned of an increase in vehicle movements as their lorries go through Lower Radley and Culham, and apologise in advance for the inconvenience this work will cause. If you need to contact Thames Water, please call their 24 hour customer line on 0800 316 9800, quoting your address and reference number BB176048.